Locog has blasted hospitality companies that advertise VIP access to Games lanes as the HBAA defends the industry's profit on hotel room prices. The Olympic organising committee's reaction was prompted by Channel 4's Dispatches, in which employees of Thomas Cook and Jet Set Sports told reporters posing as businessmen that access to the Games lanes - 39 miles of restricted, fast-tracked road - was available as part of high-end hospitality packages. The programme reported that Peter Moore, event agency Iluka's head of Olympic trip packages, based at Thomas Cook's offices, quoted £450,708 for a six-night package for 23 people to events such as the men's 100m final, including coach travel on the Olympic route at any time. Jet Set Sport's Richard Relton - no longer at the company - also claimed privileged access to the Olympic lanes was available. 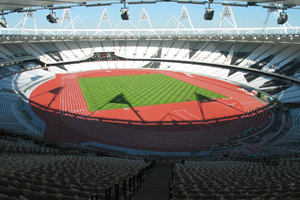 Locog, however, told C&IT that the lanes are strictly limited to the athletes, officials, media and sponsors and under no circumstances is it possible to secure access to a vehicle that can use the Games lanes through purchase of a ticket or hospitality package. London & Partners added that it has spoken to clients and event planners who were still looking to book packages so that they have the right information. The news caused dismay among hotel chains including Starwood and Hilton, whose Locog Fair Pricing Charter rooms were sold as part of hospitality packages at several times the going rate. One package, including three nights at the Cavendish Hotel and tickets with a face value of £470, was offered at £3,999 a head, including meals and transportation to venues. Miles Quest, a spokesman for the British Hospitality Association (BHA) told C&IT that the organisation was upset by the mark-ups but understands many affected hotel chains are working with Locog to resolve the issue. HBAA's vice chairman Chris Parnham defended the markups: "It's a very different market for the man in the street than for corporates. I think these packages are suitably priced for corporate groups." Meanwhile, Stephen Vaughan, managing director of Thomas Cook's London 2012 partnership, told C&IT that two-thirds of its Games Breaks are priced at £300 or less. "Thomas Cook was not a partner when the arrangements were set up with hoteliers in 2004, and in each case the hotel contract is with Locog. We did not have any involvement in relation to hotel rooms until it signed the agreement with the organising committee regarding hospitality packages in September 2009," he added.